Research shows that the field of Talent Management is more demanding than ever. Qualified Talent Management Professionals are needed to support senior leaders in creating a sustainable Talent Management Strategy. Recent research shows on average, companies now spend over one-third of their revenues on employee wages and benefits. It makes good business sense to identify a sustainable Talent Management Strategy that is linked to strategic goals to maximize success. If your employee turnover is high, if your employee engagement level is low, if older employees unexpectedly retire, you risk losing valuable talent. In today’s competitive market replacing a high-quality, highly engaged workforce is nearly impossible. The ability to effectively hire, retain, deploy, and engage talent—at all levels—is really the only true competitive advantage an organization possesses. Your talent management team needs the skills to lead the organization to establish best practices in Talent Management. What are the key components of a highly effective talent management process? 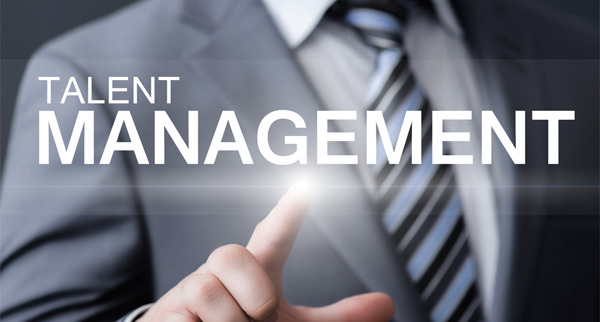 Identify and tie talent management needs to the organization’s current and future business strategies. Determine the key gaps between the talent and skills needed now and the talent and skills required to drive business success in the future. Create a systemic talent management plan to close the talent gaps and integrate into the strategic goals, organization culture, and business plans. Design talent management systems for hiring, development, and promotion decisions. Connect business goals to individual and team goals and provide clear expectations, feedback, and coaching to manage performance. Focus on talent development to improve performance in current roles and prepare for the transition to the next level. Identify the critical success factors required to effectively execute the plan by involving others and gaining commitment and accountability. Identify metrics to measure the results of the Talent Strategy during and after implementation. Involve your talent management team to help senior leaders design, implement, and maintain the talent management strategy to foster culture integration. Align your talent management functions to successfully support one another during the change, to improve the processes and sustain the strategy. Link between talent management practices and business results tied to recruitment, retention, employee satisfaction, and financial results. Increased value proposition – An organization’s brand and value proposition is based on the quality of their talent. Increased long term competitive advantage – the way business is conducted is more complex and dynamic. Managing talent requires long range planning and innovation. Investor and Board Expectations –The success of recruitment and retention strategies of top talent at all levels including the C-level is increasingly valued by investors and board members. Employee Satisfaction – Employees representing three generations have greater expectations and place a greater demand on talent management strategies and practices including need for challenging work, advancement, financial rewards, work life balance, less loyalty to one organization. Workforce Demographics – Driving the demand to develop people and opportunities for growth for younger workers. Developing formal Talent Management processes such as succession planning, creating talent pools, high potential programs, career development, mentoring and coaching helps to provide opportunities for those seeking professional growth. Institute of OD offers a Talent Management Certification program to develop your talent management team to effectively design and implement Talent Management Best Practices with the help of the senior leadership team. We hope this information will be useful for you. If you would like to learn more about Talent Management and how it can help you jump-start your career, call us at 954-341-2522 or email us at info@instituteod.com. Nancy Zentis is a leading professional in the field of OD, with more than 30 years’ experience as a consulting working with multinational organizations. She is the founder and CEO of Institute of OD, providing OD Certification Programs. She can be reached at nancy.zentis@instituteod.com. 954-341-2522.